You are cordially invited to a baby shower. 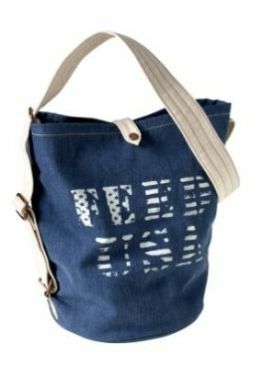 For kittens. Yes, that's right. 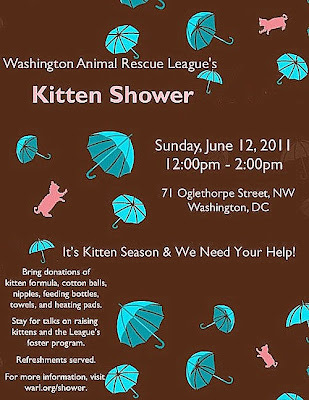 The wonderful folks at Washington Animal Rescue League (WARL) are holding a kitten shower on Sunday, June 12 from noon to 2pm. June is the height of “kitten season” for animal shelters, and the League is seeking help in caring for the scores of kittens they will take in, raise, and find homes for. Please click the link to see what you can bring if you'd like to attend (& learn how to care for the little ones). If you want to see some darling kittens & learn about caring for them, visit the amazing Charlene Butterbean & her Itty Bitty Kitty Committee.